It takes James Robertson eight hours to make the 46-mile commute to and from work. He walks 21 of those miles every day. Robertson, 56, is an injection molder at Schain Mold & Engineering, a plastic-parts manufacturer located in Rochester Hills, Michigan. 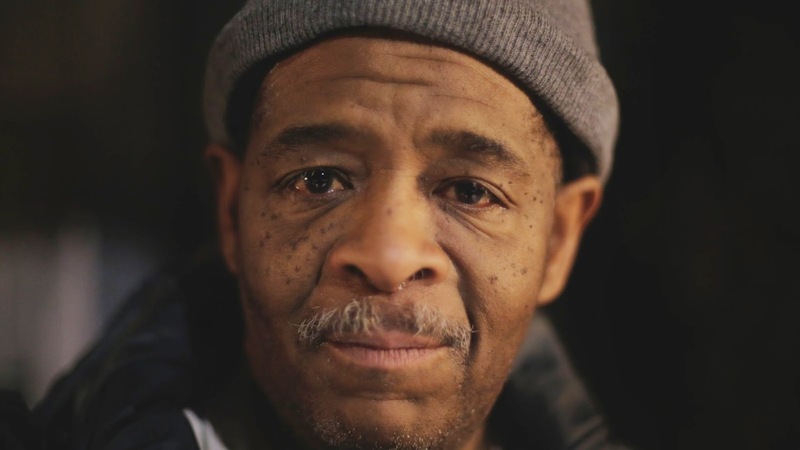 He lives in Detroit, and for the last decade, after his 1988 Honda Accord quit on him, he has had to rely on limited public transportation, occasional rides from others and his own two feet to make the daily trek, the Detroit Free Press reported. He is unable to afford the cost of buying and maintaining a car earning just $10.55 an hour, and he hasn't moved closer to work because his girlfriend inherited the house where they live. Robertson leaves around 8 a.m. to arrive at work ahead of his 2 p.m. shift, which ends at 10 p.m. 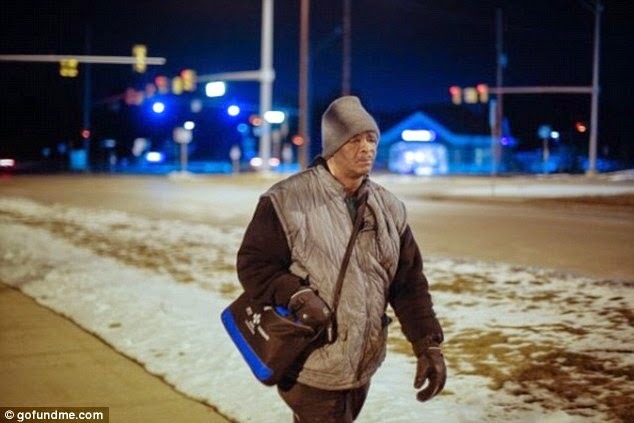 He catches the last bus toward Detroit at 1 a.m. and doesn't get home until 4 a.m., the outlet reports. He says a prayer that he arrives home safe each night, walking through the dangerous area along 8 Mile. Despite all this, he still manages to have a pristine attendance record and doesn't complain. I can't imagine not working," he said. After the Detroit Free Press published Robertson's story, thousands responded on Facebook, asking how they could help. Evan Leedy, a student at Detroit's Wayne State University, decided to set up a GoFundMe account to raise money for Robertson to buy a car. Leedy told The Huffington Post in a phone call Monday he was inspired by Humans of New York photographer Brandon Stanton, who raised more than $1 million to send schoolkids from a crime-stricken neighborhood in Brooklyn on a trip to Harvard. Initially, Leedy said, he didn't even think anyone would donate. So he set the goal at a modest $5,000. In just one day, however, donations soared to nearly $50,000. "This is obviously more than just a car now," he told HuffPost. "It can turn into something way bigger than that. Maybe he could use this money to move out and move somewhere else ... We've had a Chevy dealership as well as Honda corporate [reach out]. Both want to donate a car to him. So he can use this money for whatever else he needs."